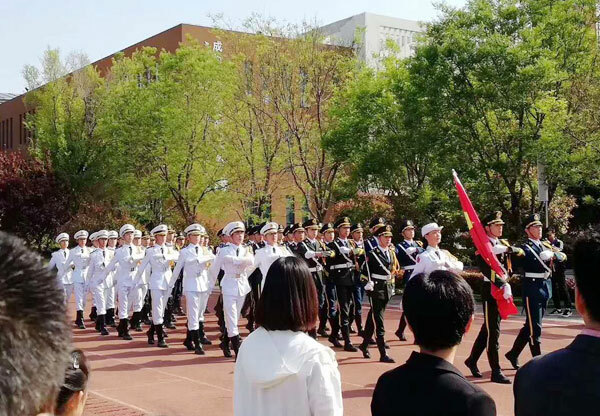 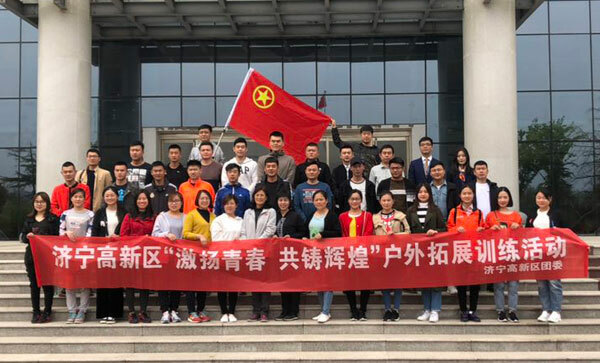 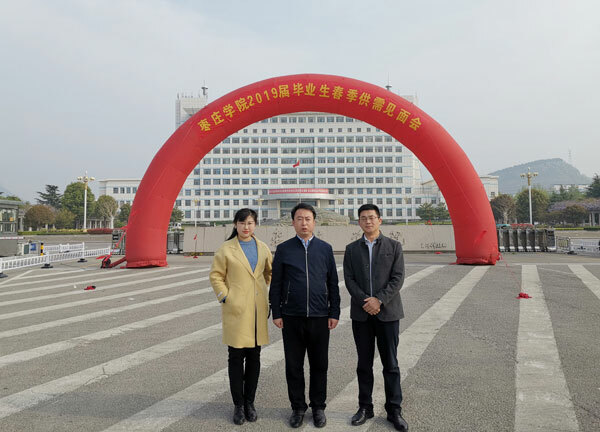 On April 13th, the Zaozhuang College hold a 2019 Graduates spring meeting of supply and demand. 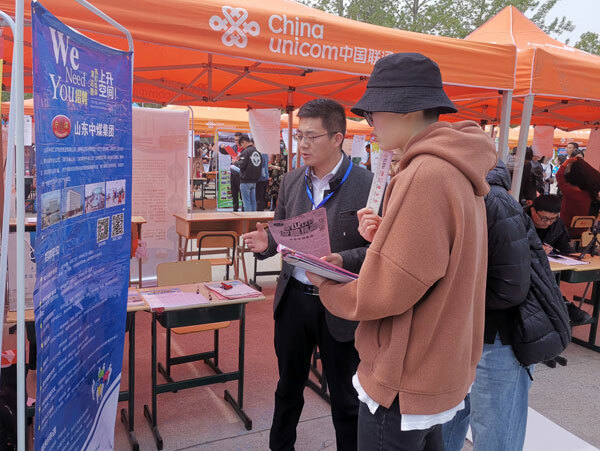 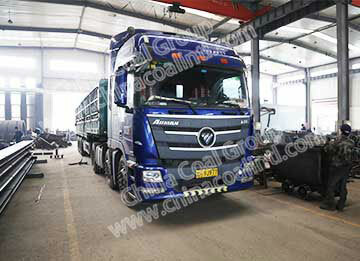 China Coal Group is invited to participate in the recruitment fair. 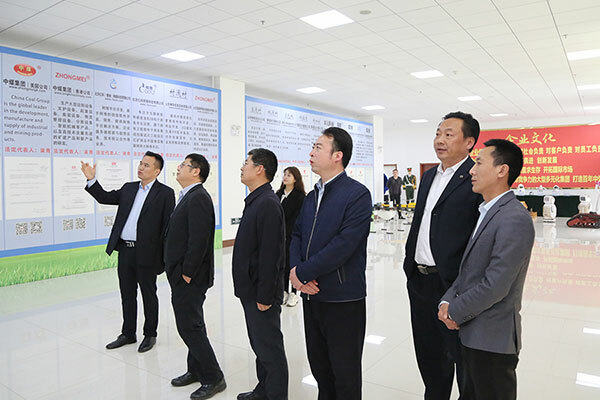 China Coal Group Executive Deputy General Manage Fan Peigong, Group Cross-Border E-Commerce Company General Manager Zhang Wen, and China Coal Group Human Resources Department Director Feng Yuyang and other leaders go to the recruitment fair to recruit talents for the development of the group. 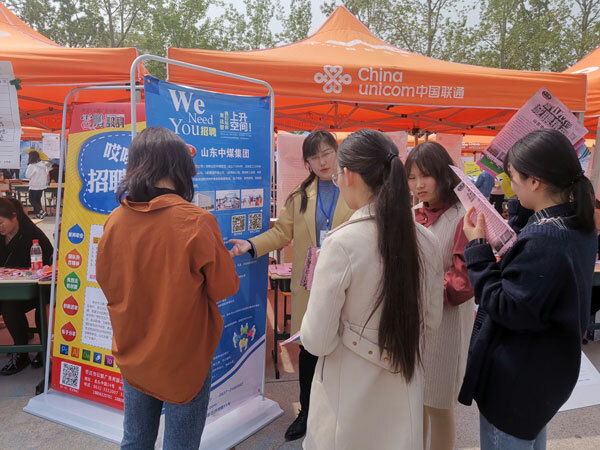 our group mainly recruits talents in e-commerce, cross-border e-commerce, foreign trade promotion, software development and many other aspects. 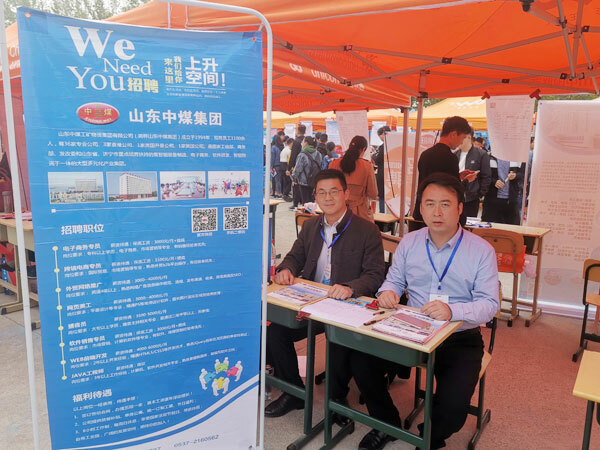 At the job fair, China Coal Group Executive Deputy General Manage Fan Peigong, Group Cross-Border E-Commerce Company General Manager Zhang Wen patiently introduced to each prospective job seeker the development history, future development direction and broad prospects of China Coal Group, and attracted a large number of job seekers to submit resumes. 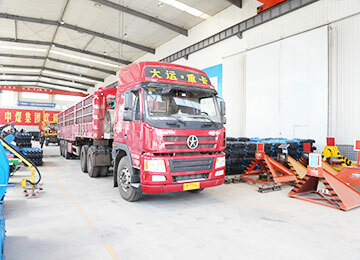 As a large-scale enterprise supported by the Ministry of Commerce, the Provincial Department of Commerce and the Municipal Bureau of Commerce, China Coal Group has achieved economic and social benefits after 25 years of development. 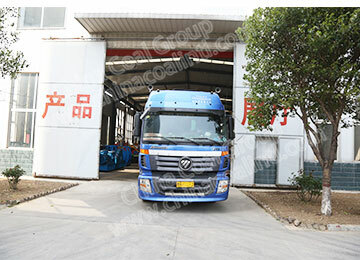 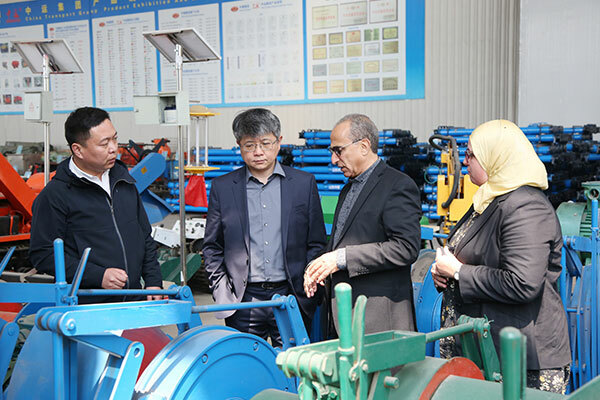 The Group is currently engaged in e-commerce, cross-border e-commerce, software development, Many industries and fields such as intelligent equipment manufacturing, smart agriculture, and intelligent logistics have achieved outstanding results. 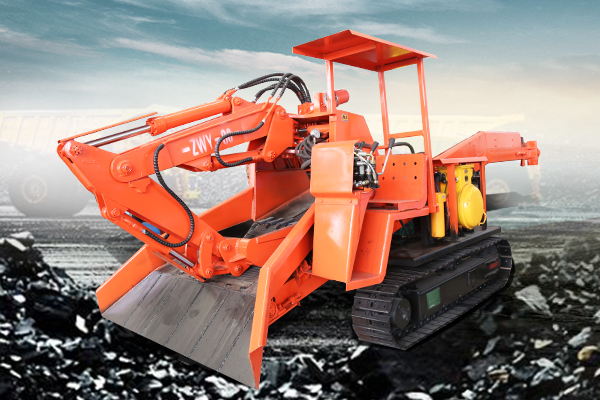 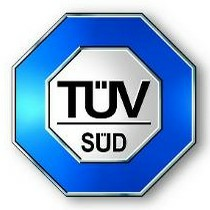 They have been highly praised by many national, provincial and municipal leaders. 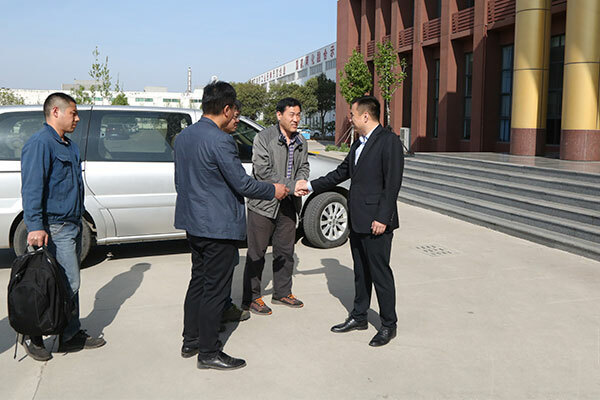 They have won national e-commerce integrated innovation demonstration enterprises and China's two-in-one integration innovation practice. 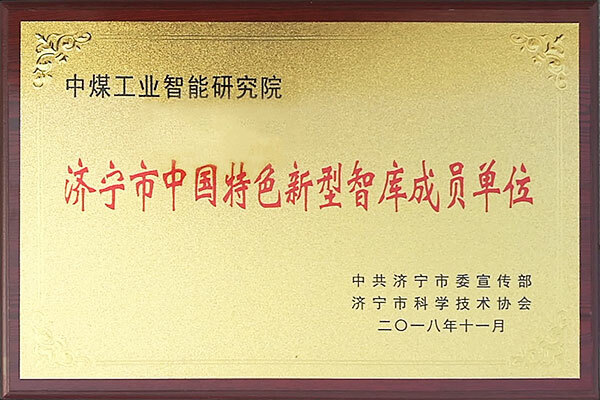 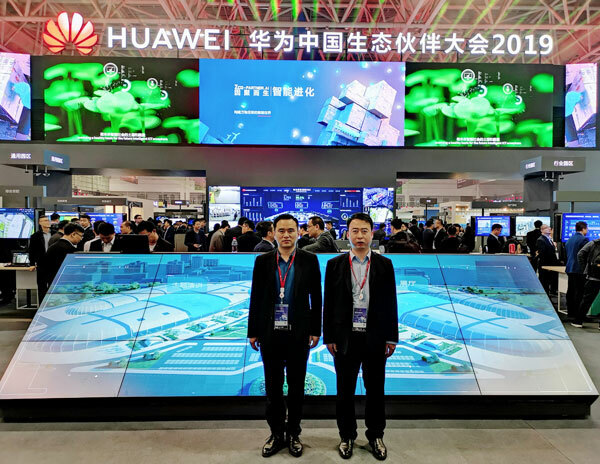 The award-winning enterprise, the pilot project of Shandong Province's two-in-one integration management system, the e-commerce demonstration enterprise of Shandong Province, and the outstanding e-commerce enterprise of Shandong Province have won many honors. 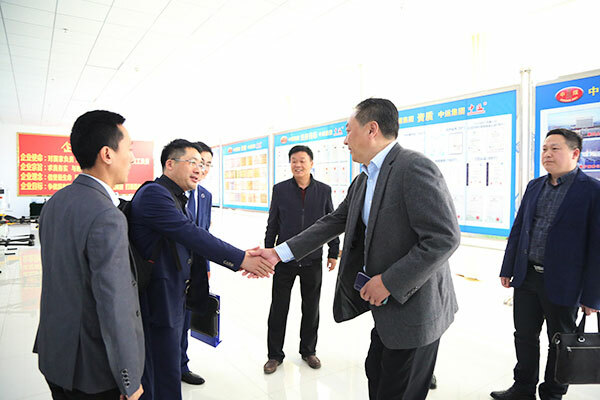 After the recruitment fair, China Coal Group Executive Deputy General Manage Fan Peigong, Group Cross-Border E-Commerce Company General Manager Zhang Wen hold a forum with Zaozhuang University Foreign Languages School Secretary Liu Yubao, The two sides make a in-depth discussions on the next step of personnel training, college student training, graduate employment, and other school-enterprise cooperation issues.